Android designs are really pleasing on people. Some are catchy and some are just really cool! 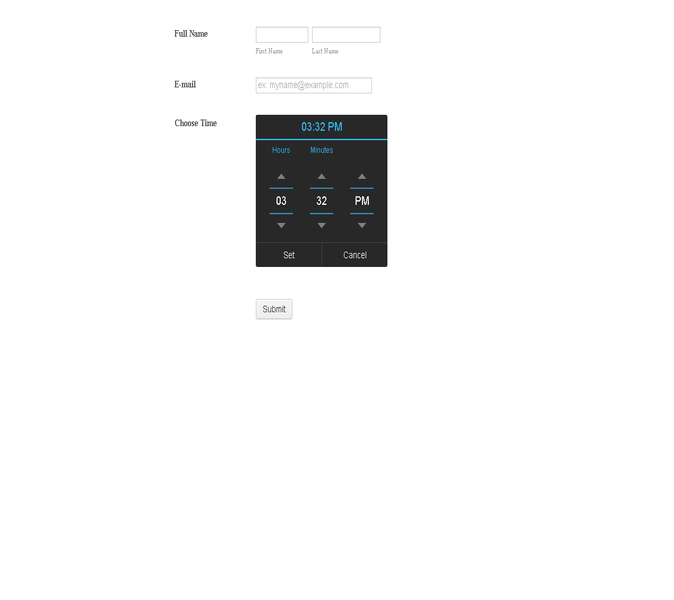 Do you want to have a time picker with Android design to lighten up your forms? Then the Android Time widget is just right for you! Using the Android Time widget is really easy. 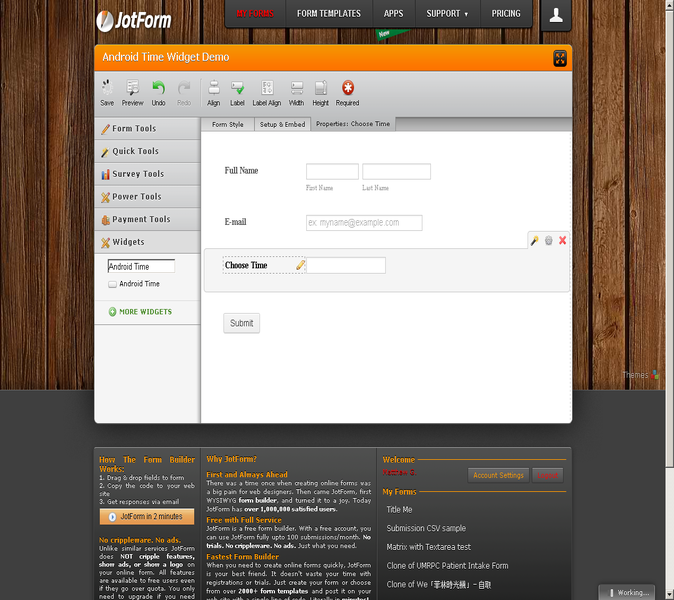 All you need is to search the Android Time and drag it to your form! Using the Android Time Widget would benefit you to blend a pleasing time picker to your form design.